Take a cue from Pia Wurtzbach, no less! A straightening iron may be able to hide a multitude of hair sins, but there's nothing quite like having naturally healthy hair. How can we keep our locks in top shape? 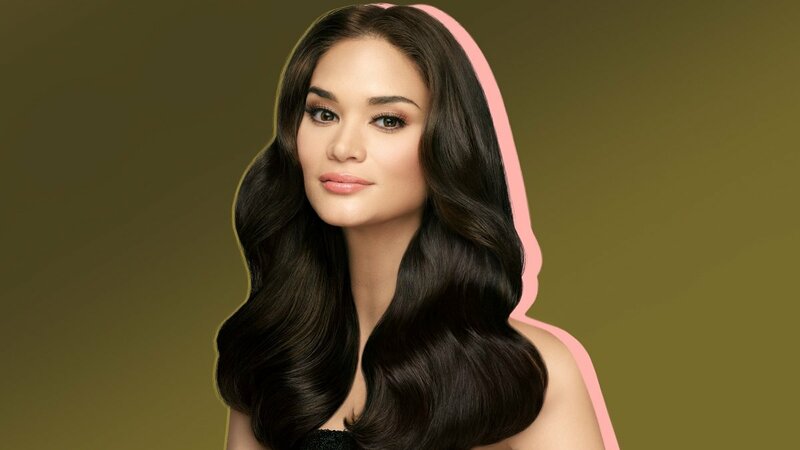 Pia lets us in on a secret: "Condition your hair with the best. When I was living in New York, I had bottles (of Cream Silk) kept in my bathroom stash in case I needed that little boost. I actually gave some to my roommate—Ms. USA Deshauna. I told her, 'You need to try this. It's really good conditioner!'" You don't want to keep repeating the same top on your Instagram feed, so there's no reason to be wearing the same hairstyle over and over again, too. Take a page from Pia's book and be sure to try lots of different styles. When asked about her favorite way to do her hair, she says, "I like a top bun or a nice ponytail. My favorite is when I have it down with a little bit of volume and some waves. I also like straight hair." Now that you've styled your hair, it's time to draw attention to your gorgeous locks. When posing, touch it, scrunch it, flaunt it! It's all about your attitude. What's a selfie without prime location and lighting? If you're visiting the Big Apple anytime soon, Pia spills on an underrated NYC restaurant where she had her first meeting with the pageant that changed her life. She says, "My favorite one, and you'll probably spot a beauty queen there if you're lucky, is Rue 57. They have the best steak and Moscow Mule!" "I feel really good whenever I have a nice outfit on. Even without my makeup on, as long as I feel comfortable in what I'm wearing, it kind of affects my whole mood," says Pia. Apply her no-fail tip and reach for your fave jeans or a glammed-up dress to look 100 percent! A cheat day for the beauty queen means sleeping in, skipping the gym, and going on a spontaneous karaoke date with all her friends. Take a picture of yourself in your natural environment and you'll definitely shine through. You do you! We all know too much social media can mess with our heads, so be sure to unplug once in a while. "I put the phone down. I go back to being 'Pia' on days when it gets overwhelming," she says about dealing with off days. Learn more about Cream Silk on their Facebook page.